This is part five in a series on the topic, “New Testament Principles on Leadership Structure.” Enjoy. If you want to catch up on the previous parts, scroll down. The ruling leaders of the New Testament churches are called bishops, pastor-teachers, elders, and overseers. Paul states clearly, “Let the elders who rule [lead, direct, guide, manage] well be counted worthy of double honor” (1 Timothy 5:17a). Dr. Grudem writes, of the main purpose of the elders: “One of the major roles in the New Testament is to govern the New Testament churches.” He then references 1 Timothy 5:17 and 1 Timothy 3:4-5 (ibid). Dr. Alexander Strauch writes, “Elders…lead, direct, govern, manage, and care for the flock of God” (ibid, p. 25). So, the Bible is clear that certain men are given the responsibility and gifting to lead the local church toward the purposes of God. Besides the elder ruling structure, we also observe the use of deacons in the local churches. There is much less in the New Testament in regards to the role of deacons compared to elders, bishops and overseers. The word deacon is a translation of the Greek word, diakonos, which is the ordinary word for servant, whenever it used in the context of dealing with church officers. Deacons are mentioned in Philippians 1:1: “…To all the saints in Christ Jesus who are at Philippi, with the bishops and deacons.” We find no specifics as to their function, other than a distinction from the elders/bishops. Deacons are also mentioned in 1 Timothy 3:8-13 in reference to the needed qualifications for those in such responsibility. The list of character and moral qualifications for deacons follow closely the list given for elders. From the list in 1 Timothy 3, we observe that the deacons must have had some responsibility with finances, administration and counseling. The best example of the elder and deacon branches of leadership might be found in Acts 6: 1-6. Now in those days, when the number of the disciples was multiplying, there arose a complaint against the Hebrews by the Hellenists, because their widows were neglected in the daily distribution. 2 Then the twelve summoned the multitude of the disciples and said, “It is not desirable that we should leave the word of God and serve tables. 3 Therefore, brethren, seek out from among you seven men of good reputation, full of the Holy Spirit and wisdom, whom we may appoint over this business; 4 but we will give ourselves continually to prayer and to the ministry of the word.” 5 And the saying pleased the whole multitude. And they chose Stephen, a man full of faith and the Holy Spirit, and Philip, Prochorus, Nicanor, Timon, Parmenas, and Nicolas, a proselyte from Antioch, 6 whom they set before the apostles; and when they had prayed, they laid hands on them. The noun deacon is not found in Acts 6:1-6, but a related verb (Gk. diakoneo “to serve”) is found in verse 2… “Here the apostles who ruled over the Jerusalem church found it necessary to delegate some administrative responsibilities to others…” It seems appropriate to think of these seven men as deacons even though the name deacon had perhaps not yet come to be applied to them as they began this responsibility, for they seem to be given tasks which fit well with the responsibilities of deacons hinted at in 1 Timothy 3:8-12 (ibid, p. 919). The deacons had a distinct role of serving the local church through serving the leadership of that particular body. It is significant that nowhere in the New Testament do we find deacons as having ruling status in the churches. The role of the deacons is clearly one of serving the elders in tasks that would pull them away from their primary function of ministry to the Lord, the people, and the spiritual ministries of the church. (In this regard, there is no biblical reason that women would not also occupy such a position.) 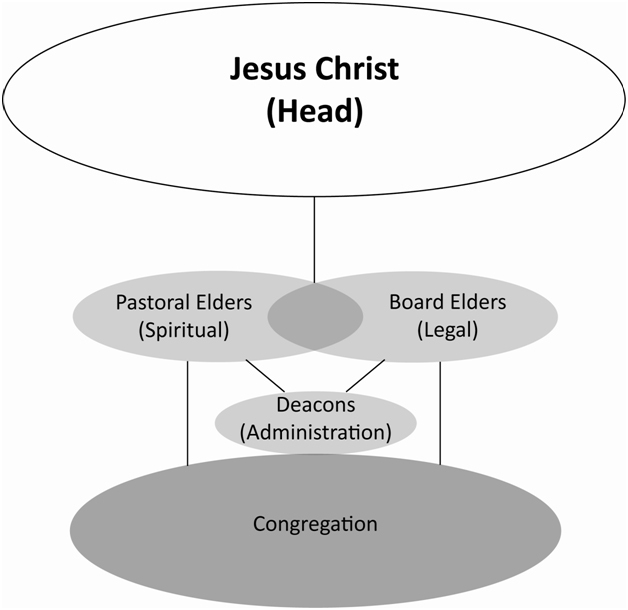 Thus, there are two primary branches of leadership in the New Testament church: the elders who rule over the spiritual direction of the body, and the deacons who serve the administrative and leadership needs of the elders. As stated earlier, MSC has an elder team made up of pastoral and board elders. Pastoral elders are on staff and focus on preaching, teaching and oversight of the day to day ministry of the church. Board elders focus on governance. The roles of both Pastoral elders and Board elders are complimentary and have some overlap, as necessary. We believe in the function of the deacons but do not use the term. We consider associate staff, support staff and volunteer leaders who are ministering alongside our pastors, as functioning in the role of deacons.